NyARToolkit for Android licence was updated to LGPLv3. Source code header and bundled licence text were updated in NyARTK4.nyatla branch. Source code header and bundled licence text has been updated in NyARTK4.nyatla branch. Other branches are not updated. These branch will probably available on LGPLv3. However,should contact to commiter if you require completeness. 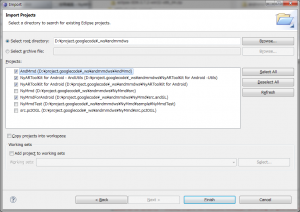 NyARToolkit for Android 4.1.1 is released. Change is having updated the library to NyARToolkit 4.1.1. 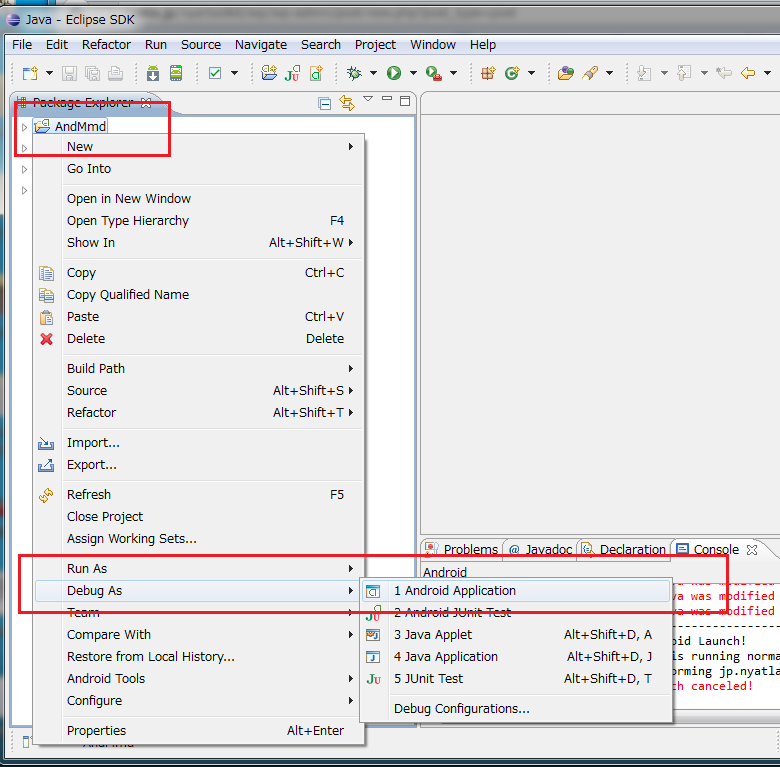 Check NyARToolKit for Android – Android 2.2. NyARToolkit/4.1.1(Java/C#/Unity) and NyAR4psg/1.3.2 are released. Updated NyARToolkit library to 4.1.1. A known issue is text-rendering does not work correctly. 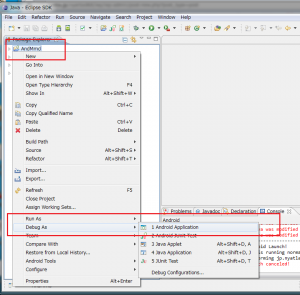 This is explanation of how to make NyARToolkit for android demo program with NyMmd for Android. NyARToolkit for Android requires API8. Please prepare the development environment of API8 before setup. Download a fileset from below URL. The file contains NyARToolkit, NyMmd and Application file. 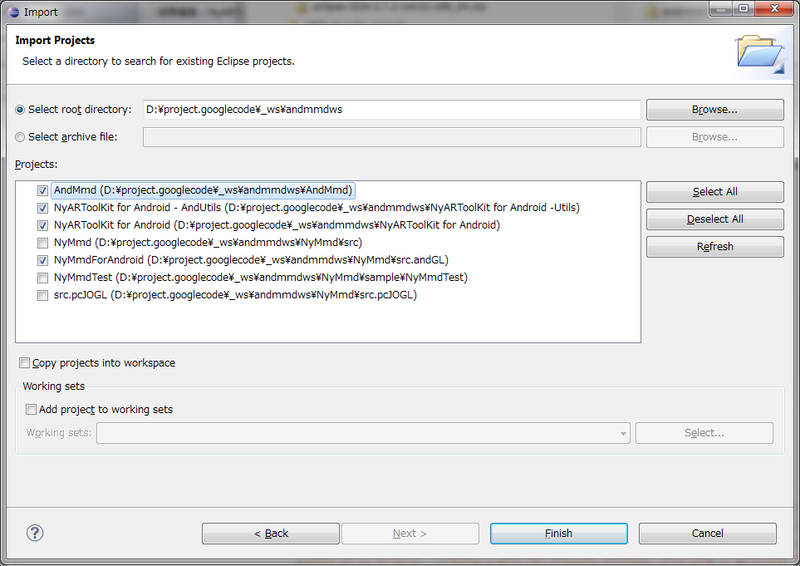 Import projects to Eclipse. Required projects are in list. If an error occurs,　check a character code is UTF-8. Start debug the AndMmd project. In debug mode or an emulation, application is very a slow (100 times slower). When it is started from Android, it runs at usual speed.